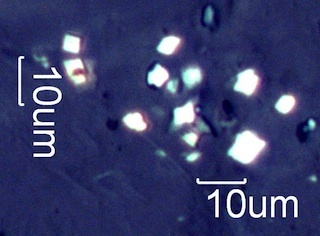 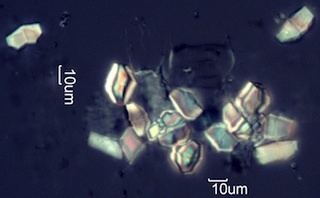 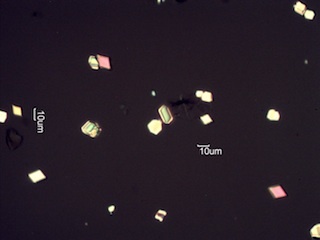 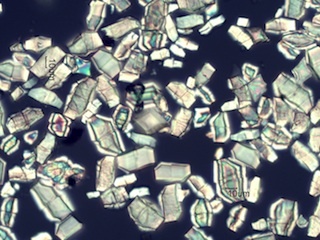 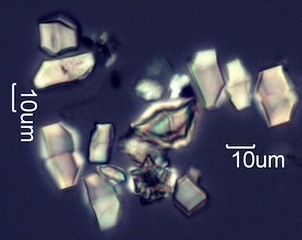 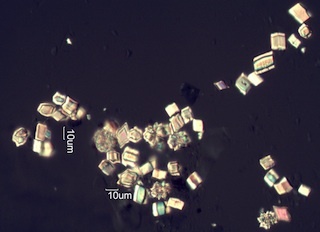 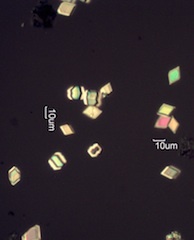 Calcium oxalate crystals grow in a variety of habits depending on the plant and the part of the plant in which the are found. 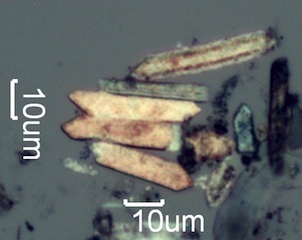 The shapes shown here lead to examples of similar shapes in different plants or parts of plants. 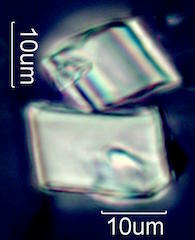 Prisms include cubes, rectangles, and bipyrimidal prisms. 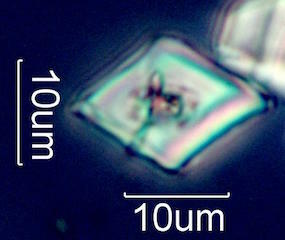 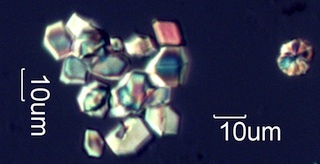 Rhombs include diamond shapes and various rhomboid single crystals. 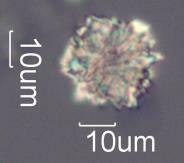 Twins include a variety of twinned shapes. 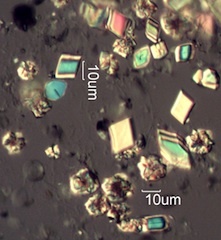 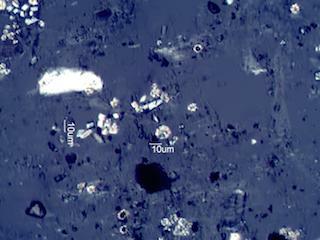 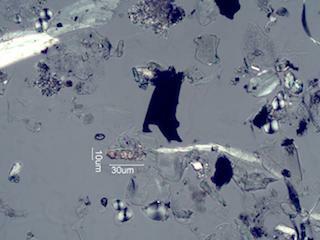 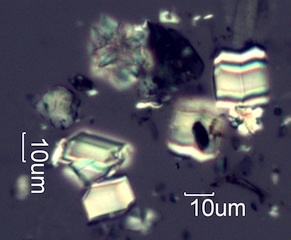 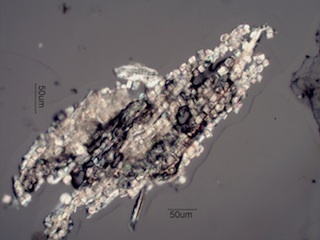 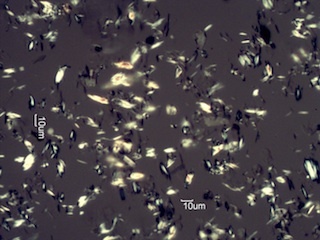 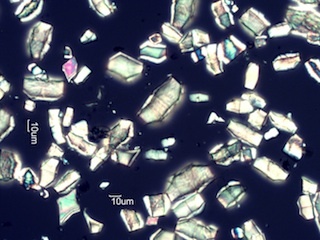 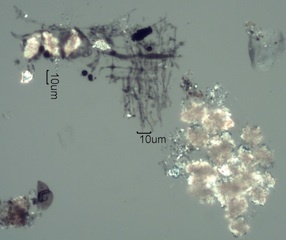 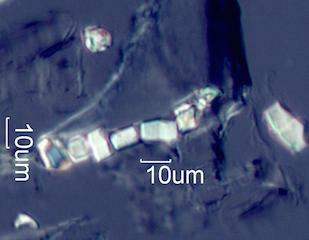 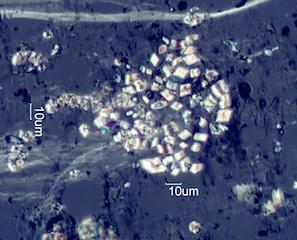 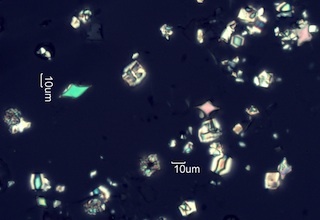 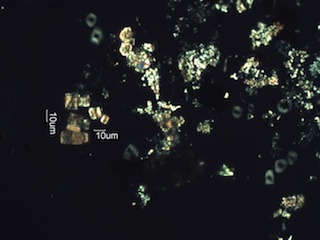 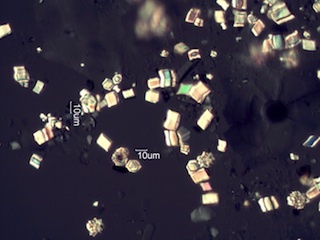 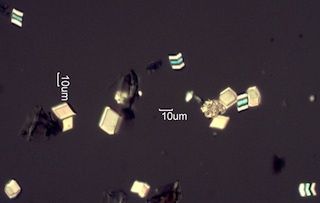 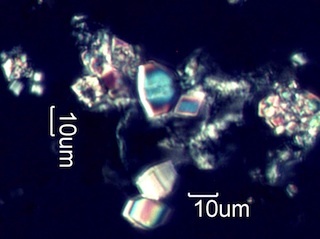 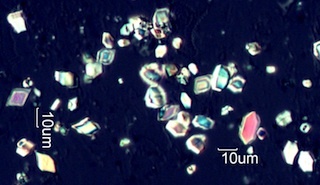 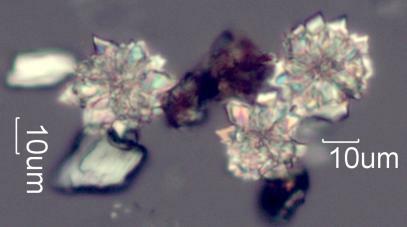 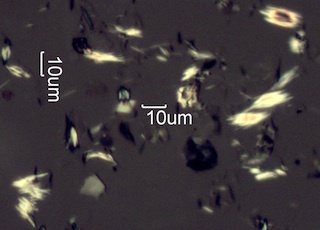 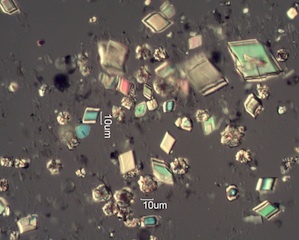 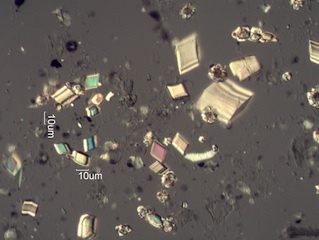 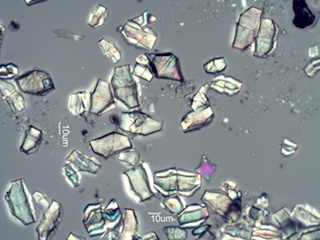 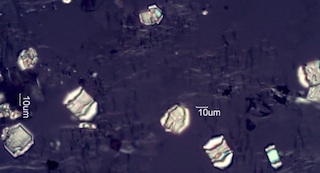 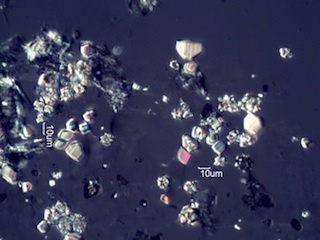 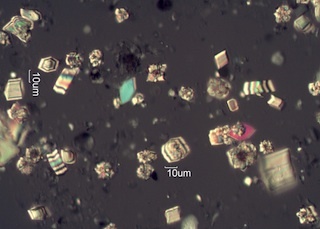 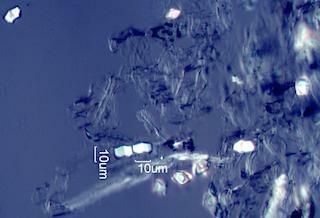 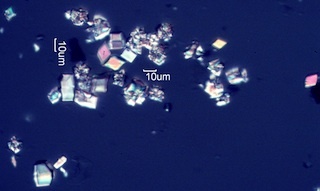 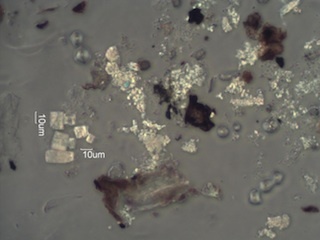 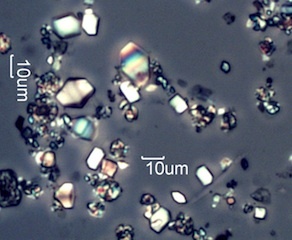 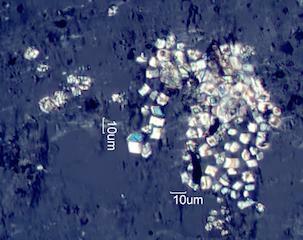 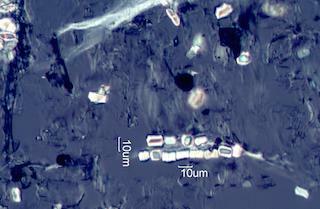 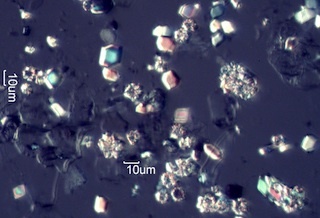 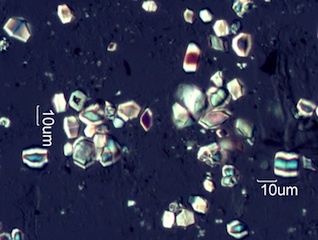 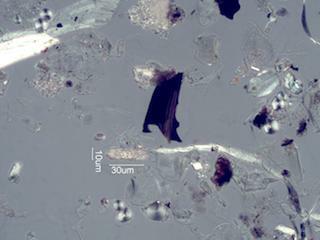 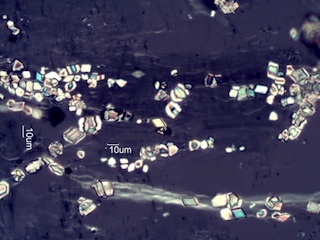 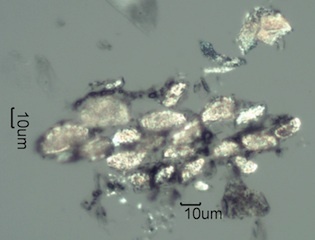 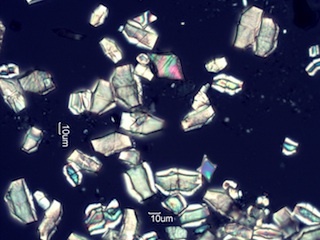 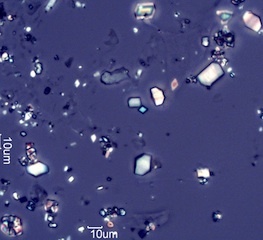 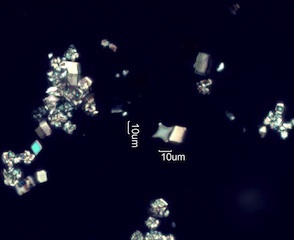 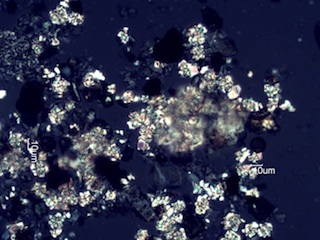 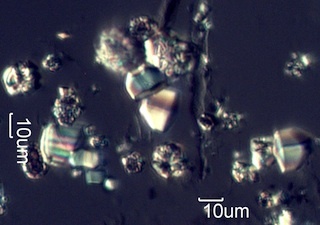 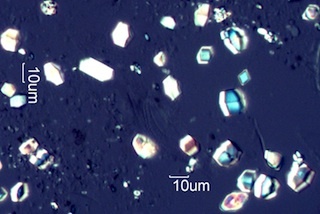 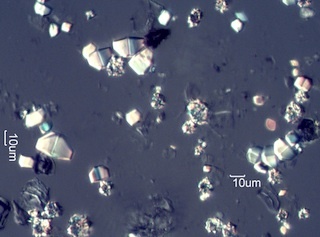 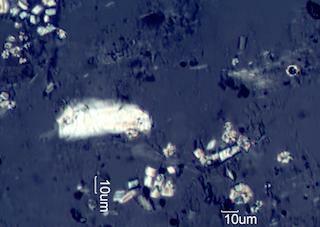 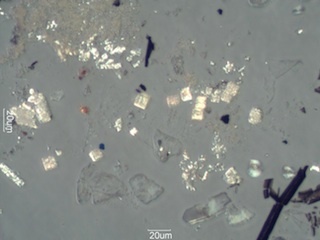 Druse includes rosets and crystal agglomerates. 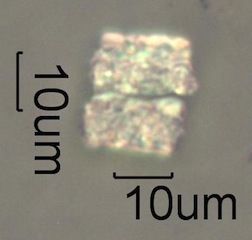 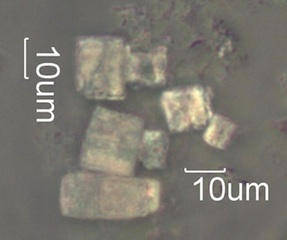 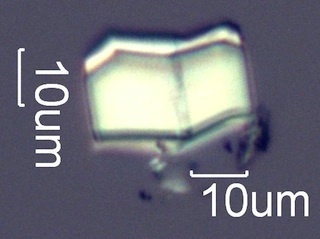 Cell shapes are included here as constrained druse structures though that is not necessarily the case. 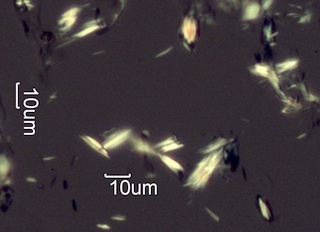 Raphid includes single raphids, raphid clusters, and styloids. 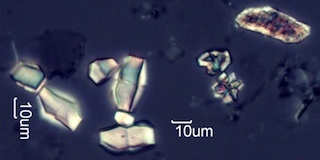 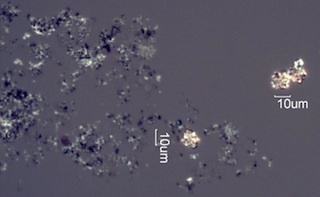 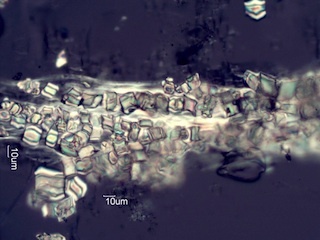 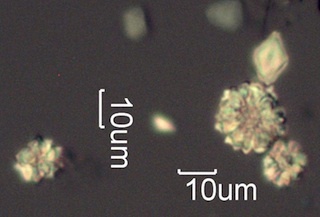 Whewellite, the most common form of calcium oxalate in plants (CaC2O4-H2O) begins looseing water at about 120 degrees Celsius. 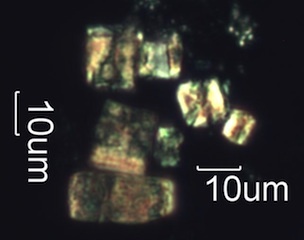 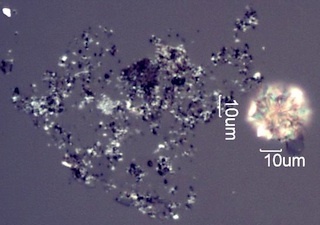 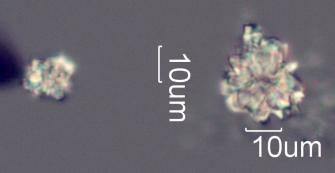 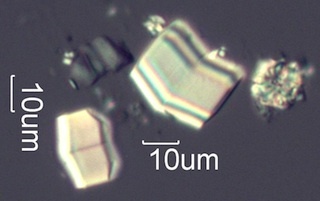 At aout 420 Celsius it begins forming calcium carbonate with the loss of carbon monoxide. 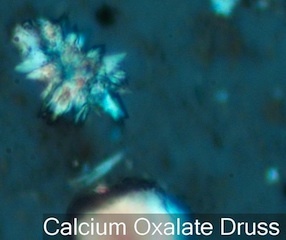 At about 620 celsius it begins forming calcium oxide with the loss of carbon dioxide. 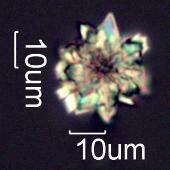 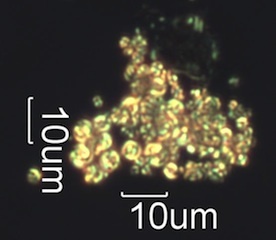 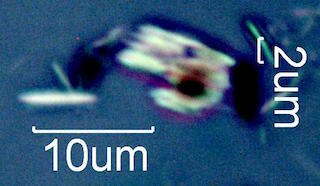 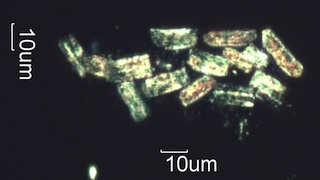 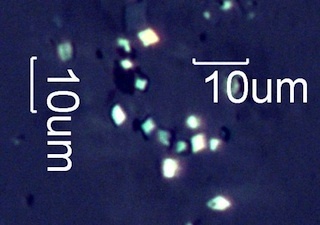 The final form of the pyrolized calcium oxalate is dependent on the amount of time at temperature. 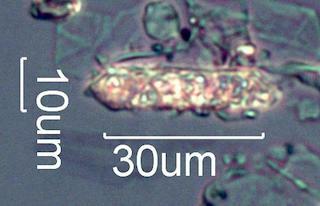 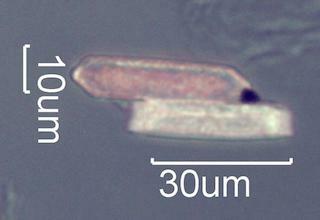 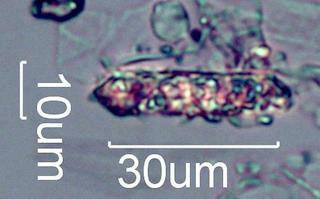 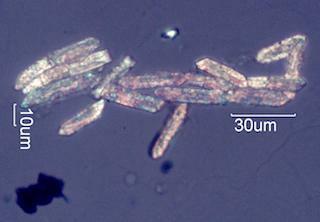 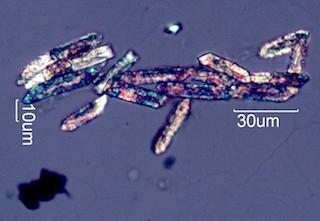 In a wildfire that time is often rather short and results in a chemical modification of the surface of the phytolith.